We notice that in the modern fashion world, many young women are suffering from ingrown nails especially of the big toe (hallux) as seen in the photos above. The photo below indicates unbalanced pressure along the toes especially part of foot sole. When such persons stand or walk, their toes are not pressured (not used). Footprints equally stepping with complete feet to the ground. Incorrect way of stepping on the ground. Toe fingerprints are not seen. This is usually caused by using high heels and tight-fitting footwear. Of course, it does not mean that this only happens to females but it also happen on males who use tight fashion shoes. 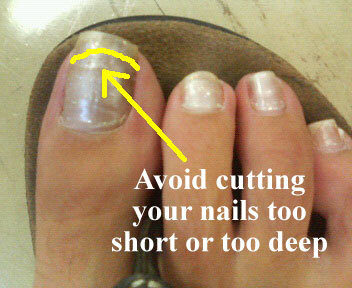 Yes, cutting the nail too short, too deep, and along a curve, will lead to ingrown nail as the new nail will tend to grow inward. 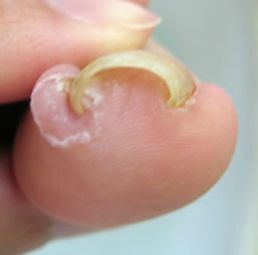 Both the fingers and toes of healthy persons have usually flat-shaped short nails. What do these flat-shaped short nails mean? 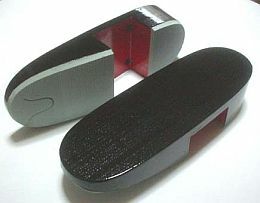 It means that the fingertips and the toes are well pressured or well managed from their daily works. Pressures to the fingertips are very important to maintain good health. This is also well known in Chinese chiropractic and reflexology. You will notice that the toenails of athletes such as rock climbers, runners, and even hardworking farmers, are usually flat shaped. See below illustration. 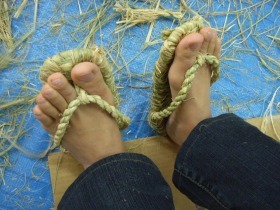 It is because the toes are well pressed towards the nails. According to the shiatsu and chiropractic theories, this force or pressure is a very important factor to keep and maintain the function of internal organs. Well then, what is the best way to keep your toenails in good shape and maintain good health? 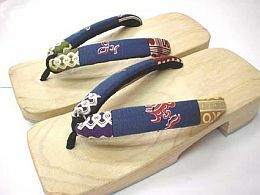 Use flat sandals or wooden shoes whenever you are in the office or at home. To avoid noisy sound and shock of wooden shoes, you can paste rubberized materials on the soles of the shoes. This will help avoid ingrown nails. 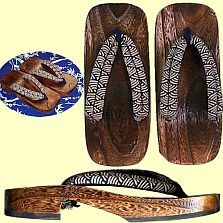 How about jogging using Geta (clogs) or wooden shoes or wooden sandals? Using wooden shoes while walking around is a good exercise. Aside from it, you can ride bicycle for exercise. Did you know that bicycle riding for about 20 minutes daily is a better exercise than jogging? When I was young, my family was poor enough that I was not able to buy leather shoes. 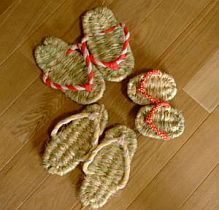 I remember using sandals made from straw rope that is weaved by myself (called Waraji in Japan) every time I commute to school. This may be the reason my feet are flat, but we were all at least healthy although financial crisis took place in Japan during the 1940s. I do not think that there were people suffering from ingrown nails during this poor era. Look at that flat feet with healthy shape of nails! The use of high heels in the modern living with leather and synthetic materials in a crazy fashion world is one of the major factors that contribute to ingrown nails. 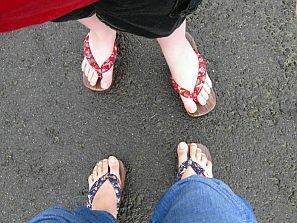 Oh, up to this time of modern and civilized world, I am using flat sandals every day!